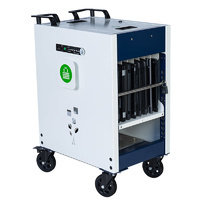 The Revolution 32 Cart is the perfect solution for managing multiple banks of Laptops or Chromebooks. 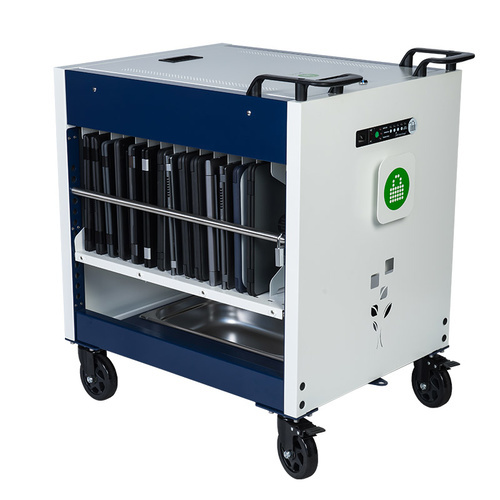 Designed with the teacher in mind, the Revolution 32 Cart features an open design to enable passive ventilation, as well as allowing for quick and easy visual checks by teachers. The Revolution 32 Cart is a direct replacement and upgrade of the original Revolution ECO 28 Trolley. 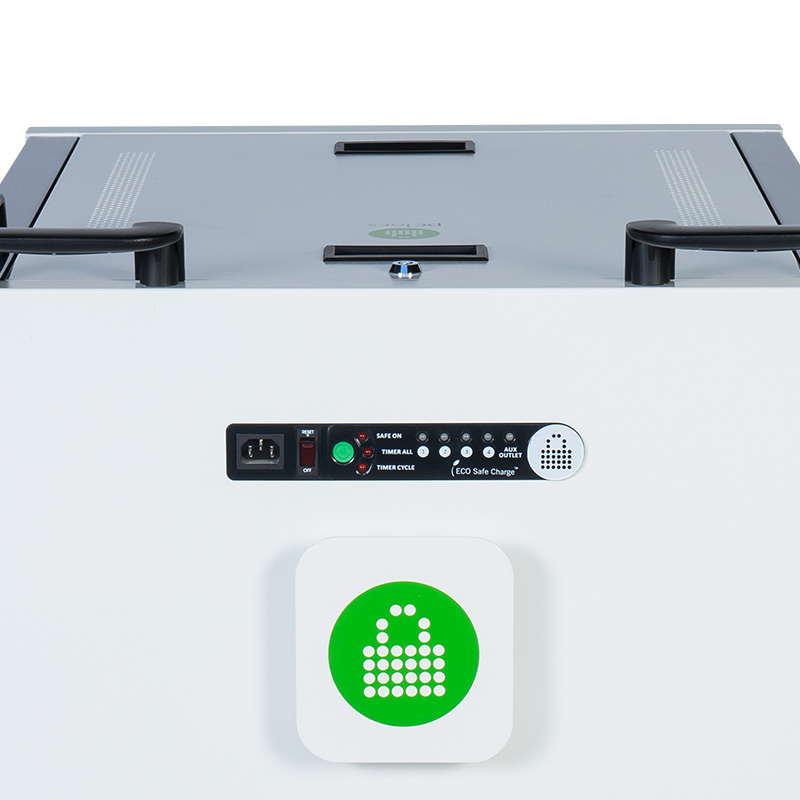 - Simultaneously charge 32 Chromebooks or Laptops. 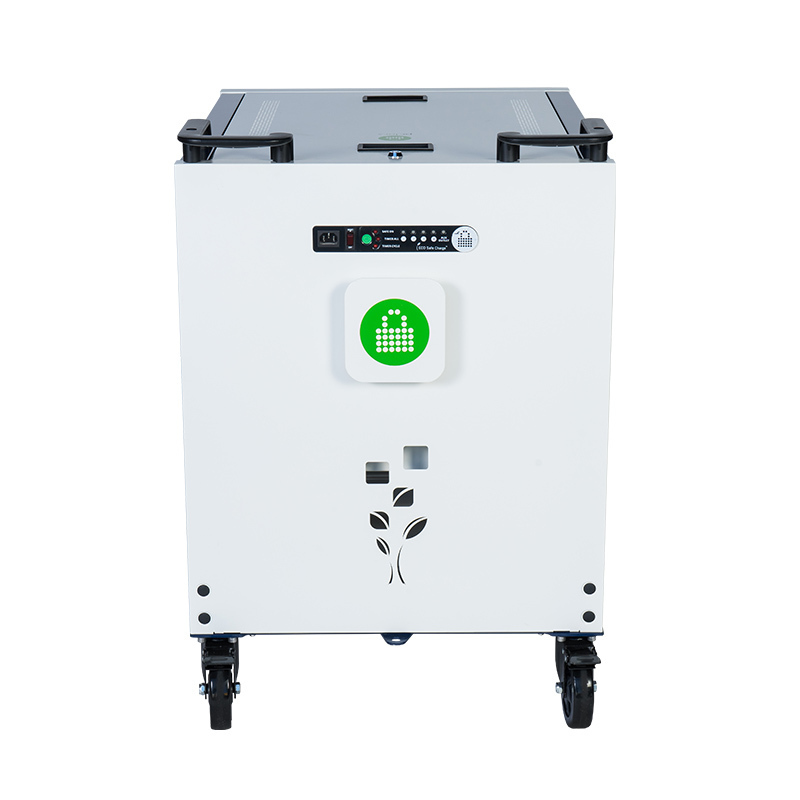 - NEW ECO Safe Charge Power Management System for safe and efficient charging. A remote control is also included to turn on the Cart. - NEW External LED Display. Easily and quickly see if your devices are charging and the charging mode selected. - Timed Charging. Easily set your Cart to charge for a specific amount of time. All programmable with the remote or the Cabinet itself. - Safe and secure. 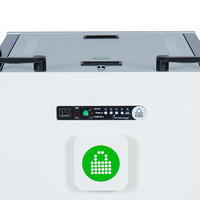 The locking system will ensure devices are safe and secure. 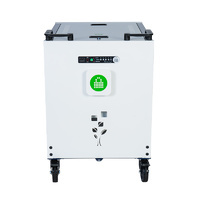 - Slimmer and compact design to fit in tighter areas and space strapped classrooms. - Two-sided open design for easy visual checks, passive ventilation and faster access to devices. - Plastic lined laptop slots for protecting devices. - Designed in Australia for Australian standards. Additional delivery charges apply to delivery addresses within Tasmania and NT. Please contact us for a quote.